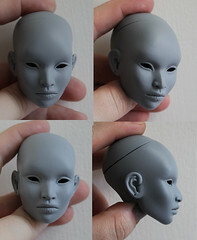 Midori (2017) is a resculpt of the old Miao sculpt (2012) that was retired with Inamorata 1.0. 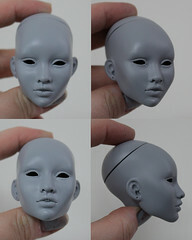 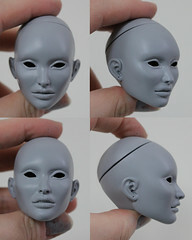 She has Asian flat back skull structure, small nose, closed lips, monolid almond shaped eyes and pointy chin. 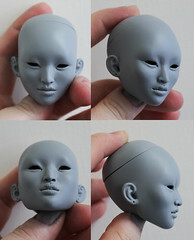 The sculpt is based on couple Taiwanese girls I know.